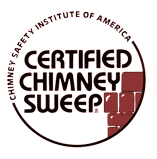 From chimney inspection to full chimney replacements, Wisconsin Chimney Technicians are the top chimney sweeps in Whitefish Bay. With over 30 years of experience, our CSIA certified Whitefish Bay chimney service specialists offer full range chimney services to keep your chimney running smoothly and your family safe. Keep your chimney well maintained with expert chimney repair: let the friendly staff at Wisconsin Chimney Technicians help you and your family today! 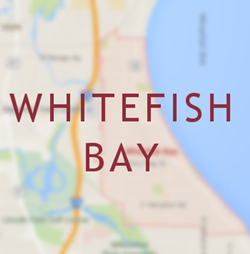 See our latest Whitefish Bay customer's review of Wisconsin Chimney! Your home needs to stay warm and comfortable during the long-lasting Wisconsin winter. With heavy use, a chimney will become burdened by a buildup of soot and creosote. This buildup not only keeps the chimney from working properly, but also becomes a fire hazard. A yearly cleaning can eliminate problems and keep your chimney in top condition. Make sure to schedule an annual chimney cleaning with our Whitefish Bay chimney sweeps to keep your chimney in excellent shape. Wisconsin Chimney Technicians offers a superior full range chimney repair and rebuilding service in Whitefish Bay for all aspects of damage. Even the smallest damage should be taken care of in a timely manner to avoid becoming worse. Whether you have minor mortar cracks or need a full chimney relining, our Whitefish Bay chimney repair contractors provide unparalleled attention to detail ensuring your chimney returns to perfect working order. The highest quality and workmanship on all chimney repairs is our promise, so let our chimney experts help get your chimney back to prime condition. If the chimney in your home has not had an annual cleaning, the inside may need some serious work. Without proper maintenance, a chimney’s interior can cease to work properly, allowing smoke and harmful gasses into your home. You can tear down the entire chimney, or you can turn to our Whitefish Bay chimney relining specialists to install a new, high quality aluminum insert. During the intense Wisconsin winter, a properly working inner chimney will keep your family safe from those hazardous gases and prevent potential chimney issues. Let our Whitefish Bay chimney repair experts restore the inner workings of your chimney with our premium relining service. When you’ve got a clogged dryer vent, not only does it take forever for your clothes to dry, but valuable energy is being wasted due to an overworking dryer. Lint clogging the vent can even become a fire hazard and threat to your family’s safety. Our Whitefish Bay dryer vent cleaning experts offer a service to free your home from dryer issues by cleaning the vent and ensuring it works properly. Keep your dryer running safely and efficiently, call our knowledgeable staff at Wisconsin Chimney Technicians. Wisconsin has one of the longest, most intense winters in the country, so it’s important to keep your chimney in top shape. Be sure to have the best chimney inspectors in Whitefish Bay inspect your chimney annually. One of our friendly, insightful chimney inspection specialists will perform a full inspection of the entire chimney system to ensure every single aspect is working properly. After inspection, the technician will discuss all findings and offer advice on the next steps which should be taken if there are any impending or current issues. Be sure your home is prepared, have our Whitefish Bay chimney inspectors make sure your chimney is ready to take on the fury of winter. 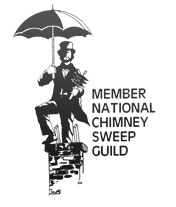 Contact the Whitefish Bay chimney sweeps at Wisconsin Chimney Technicians for more information on our full list of chimney repair, rebuilding, cleaning and inspection services.